The year is 1018 and the war with England is finally over, but the unified kingdom ruled by Cnut of Denmark is far from peaceful. Halfdan has lost everything to the war but his sense of humor. Once a proud nobleman, now he wanders the country aimlessly powered only by his considerable charm and some petty theft. When he finds an unlikely ally in Winston, a bookish former monk, the two set out together for Oxford, the seat of the new king. The pair’s arrival in court coincides with news of a murder, and Cnut has an idea only a king could get away with: Why not enlist Halfdan and Winston — the Danish womanizer and the upright Saxon intellectual — to defuse a politically explosive situation? 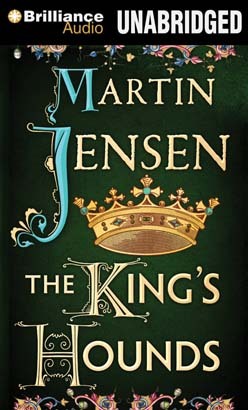 They’re given just two days to solve the murder and they set off to uncover the truth, on the order of the king and with the reluctant assistance of the agitated townspeople.